NEW YORK -- U.S. stocks rallied Friday, giving the S&P 500 its biggest gain since early September, as employment data suggested the economy was strong enough to sustain a Federal Reserve rate hike this month. JPMorgan Chase (JPM) rose 3.2 percent to $67.89 after European antitrust regulators dropped charges against the bank on blocking exchanges from derivatives markets. %VIRTUAL-pullquote-We're going to see the market focused on what the U.S. economy is doing, rather than Fed policy.%But the rally, which followed two days of sharp losses, included most sectors and allowed the three major indexes to post slight gains for the week. Nonfarm payrolls increased 211,000 in November, the Labor Department said, while September and October data were revised to show 35,000 more jobs than previously reported. 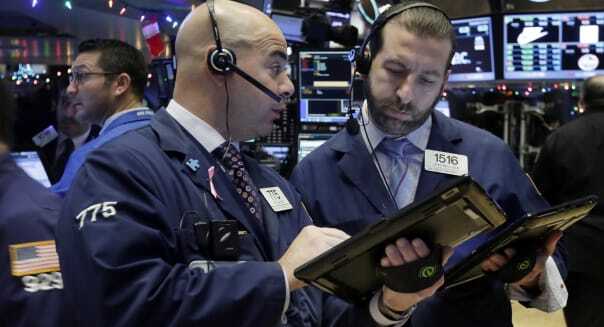 The Dow Jones industrial average (^DJI)​ rose 369.96 points, or 2.1 percent, to 17,847.63, the Standard & Poor's 500 index (^GSPC)​ gained 42.07 points, or 2.1 percent, to 2,091.69 and the Nasdaq composite (^IXIC)​ added 104.74 points, or 2.1 percent, to 5,142.27. Nine of the 10 major S&P 500 sectors ended up. The energy index slipped 0.5 percent as oil prices fell on news that OPEC was planning to maintain its production near record highs despite depressed prices. Avon Products (AVP) rose 5.8 percent to $4.22 after a private equity investor group led by Barington Capital proposed a restructuring of the cosmetics maker. About 7.7 billion shares changed hands on U.S. exchanges, compared with the 6.9 billion daily average for the past 20 trading days, according to Thomson Reuters (TRI) data. -Lewis Krauskopf contributed reporting from New York. The Federal Reserve releases consumer credit data for October at 3 p.m. Eastern time. H&R Block (HRB) releases quarterly financial results after U.S. markets close.